Just got an email from BMW about their new Z4 models. I would definitely buy a Miata before I would take one of those, for free! I have a 2000 Z3M Coupe. It's the "undesirable" S52 version, that "only" makes 240 HP. It's only a 5-speed. No way would I trade it for one of these POS things they are trying to sell now as an upgraded version. I think I have bought my last BMW. In fact, I'm certain. Its a dying breed certainly. Even the Supra isnt .. but some rumors have sparked about BMW / Toyota developing a manual . I would buy a manual transmission Jeep Wrangler over a 'sports car' in automatic. It would feel much more thrilling and connected. Zero interest in any car with an automatic, literally none! Yes, my fellow enthusiast......it's a sad state of affairs. However, be thankful there are a handful of models that are still offered in manual. If I want the old-fashioned-like driving experience, I wouldn't buy a BMW after the switch to turbo-only motors and EPS. Manuals with naturally-aspirated engines will always be the true elitist's choice. It is sad for sure. At least we now know that the M2CS is going to be offered with a manual option! ...the end of an era! 4/1 was a coincidence; it's when I opened the promotional email from BMW and then clicked on the contained link. I think the email came a few days earlier. I didn't open it until I'd read everything important in my inbox and then started deleting the crap. the only way to get a manual convertible right now from BMW f23 M240 RWD in options check the box. We had a BMW with the 8-speed for a while, and it still bored me to tears. Never again. As far as the old fashion driving experience, turbos have been around a long time, so I’m ok with a turbo manual. 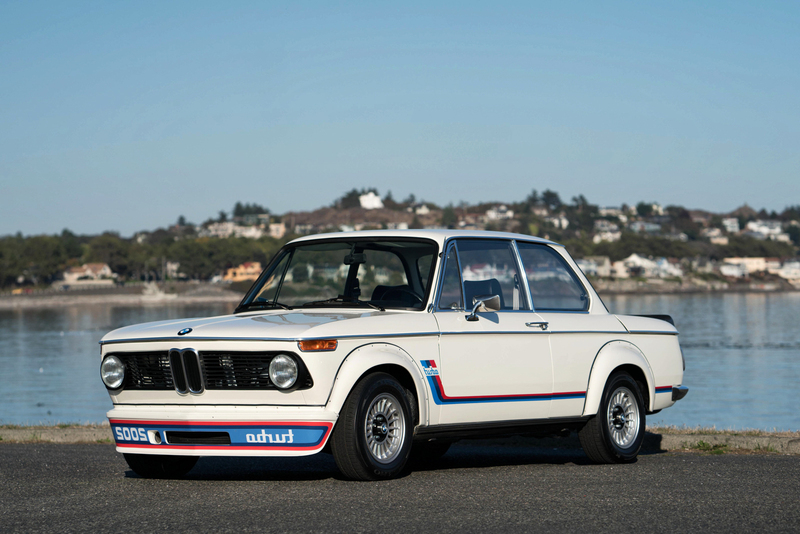 Turbo E82s are essentially the direct descendents of this, especially the 1M. I'd definitely take a manual, turbo car over an auto or DCT N/A car (except maybe a GT3 Touring). The 2002 Turbo is such a cool car! Yeah, to be honest, I wouldn’t even want the 911 GT3 Touring with DCT. I’d choose a base 911 with a stick over it. I drove a Lamborghini once with flappy paddles, and I told my wife that, if she ever wants to rent me a exotic car for fun sometime as a gift, don’t bother unless it’s a manual. The manual is really a major part of the experience for me. Yeah, to be honest, I wouldn't even want the 911 GT3 Touring with DCT. I'd choose a base 911 with a stick over it. I drove a Lamborghini once with flappy paddles, and I told my wife that, if she ever wants to rent me a exotic car for fun sometime as a gift, don't bother unless it's a manual. The manual is really a major part of the experience for me.